SHOKO: COLLECTION OF FHOTOGRAPHS WITH SHOKO !! But she is a real model !! 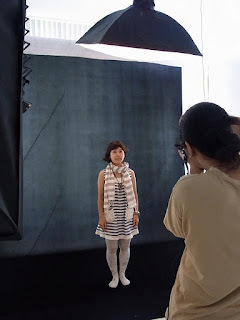 So, she was adopted SHOKO STYLE for collection of photographs herself. In addtion, invited us to this photographing. SHOKO go with Mai !! Then, move to indoor studio. and say "Please take your picture !!" She debuted as a model ! This time, she seemed to have taken a ID photo. But after, she was taken to pose such marriage photo in Vietnam. Local site is photographer's home studio. He was considered design to sutio. No wonder it was so stylish !